X3M songstress, Simi is definitely over the moon as her latest project makes history on the Billboard World Music Chart. 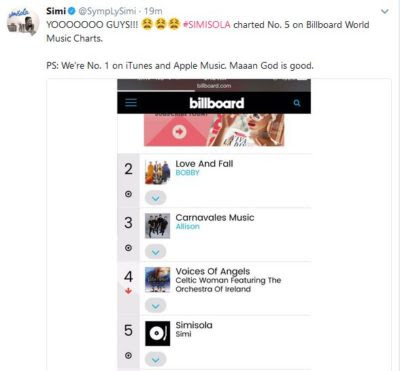 Simi’s sophomore album ‘Simisola‘ debuted at number 5 spot on the World music chart, while bagging the number 1 spot on popular music store, iTunes. The singer shared the good news via her twitter page. The album which only dropped two weeks back is already gaining global recognition despite having no international influence. Simisola was majorly produced by Oscar with efforts from Vtek and Seyikeyz. 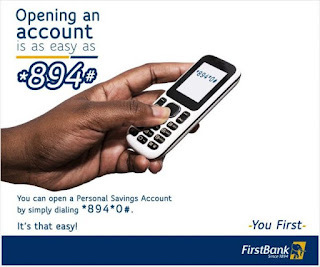 Simi only featured former YBNL soldier, Adekunle Gold on the album.